After the popular Lamb Brand 70 Summer Recipe Campaign, Lamb Brand is now working on the winter schedule. We proudly inform that Lamb Brand is supporting many TV programmes and shows throughout the week, where some spots are also dedicated to cooking. We invite you to sit and relax and grab a glass of juice to enjoy our tasty recipes. Let’s start with Eli in the morning which is broadcasted every day from 10:00 till 12:00. Every Wednesday we are giving out a Limited Lamb Brand Recipe Tin Box. Just like Lamb Brand and Eli in the morning Facebook pages and you can be a lucky winner so good luck! Lamb Brand is also taking part on F Living channel where we are sponsoring Hin Ghal Kollox with our natural healthy products. Join Karl and Romina every Tuesday at 16:00 with repetitions on Wednesday at 10:00 and Sunday at 10:00 and 23:30. Also on F Living, Lamb Brand is featuring again the 70 Summer Recipes which are aired every day in the mornings at 9:00, later afternoons between 18:40 and 19:25 and evenings around 21:25 and 22:30. On Tuesday from 13:30 onwards on Net TV you can follow Ana with her easy and healthy recipes using Lamb Brand Products during Flimkien with Frida Cauchi. On Thursdays we advise you to watch Manuel during Aroma Kitchen on One TV with repetition aired on Sundays at 9:30. Manuel and his team will follow some great recipes with our products and watch out for the Gwida competition for your chance to win great prizes along with our own limited edition recipe tin box. 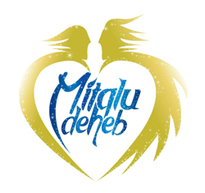 Lamb Brand is also supporting Maltese drama and reality show which includes Tfal and Quest on ONE TV, and Mitqlu Deheb on NET TV, so watch out for our adverts during the breaks.